Because the last factory-new Jeep Grand Wagoneer rolled off the assembly line on Thursday, June 20, 1991, searching for a classic original Jeep Grand Wagoneer in this day and age can be a daunting and risky task. At Wagoneer World, we strive to make the search enjoyable, fun and worry-free! By focusing to serve YOUR needs while providing the best, original undamaged Jeep Grand Wagoneers available anywhere in the marketplace today, Wagoneer World has become the specialist of choice for those searching for the right high-quality, low-mileage reliable "Woody Wagon." One that is rust-free, damage-free, original, and has the right ownership heritage. Our exclusive certification process gives you the peace-of-mind that the vehicle you are buying has completed our exclusive and thorough top-to-bottom, front-to-back and inside & out reconditioning. Wagoneer World, located in Dallas, TX, serves customers across the U.S. and the world. We are a licensed & bonded Independent Auto Dealer by the State of Texas specializing only in original Full Sized Jeeps produced from 1963 to 1991. We carefully and lovingly preserve and recondition each Wagoneer one at a time. While there are standard items we troubleshoot and upgrade on all our restorations (such as seals, tires, brakes, plugs, etc. 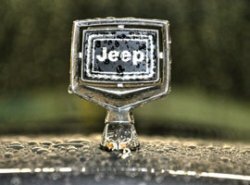 ), we review each Jeep for its individual needs. This “hand-crafted” approach does take a little more time, however we believe the end product speaks for itself. Certified Reconditioned Grand Wagoneers are only available from Wagoneer World! Learn more about our complete Reconditioning process, and know that you can shop with confidence with our commitment to deliver excellence in service, detail and product.